Rollercup Monza took place in Italy, 14-15 June 2014, as part of the Sports Festival organized by USSMB in its 39th edition. The skate event was organized by Astro Roller Skating.as. The competition included Battle and Speed Slalom. Unfortunately, the skating conditions were very hard because of the weather. After the rain, organisers had to change the competition's place. They moved all the event to a new location to give better conditions to the skaters but they lost a lot of time. To finish on time they had to give only two runs to the men's quarter-final and cancel the women's small final. However, skaters didn't give up and did their best to get the victory. The current world number one, Barbara Bossi (Ita, #1), won the final against Chiara Lualdi (Ita, #11). Justyna Czapla (Pol, #20) took the third place against her sister, Ewelina Czapla (Pol, #9). 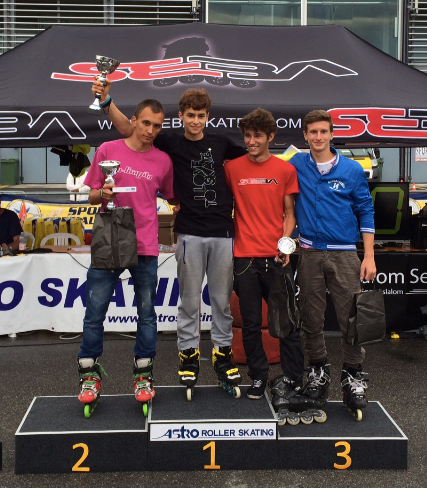 Matteo Allegrini (Ita, #18) got his first victory in a two-cones event beating Savio Brivio (Ita, #11) in the final. Andrea Rotunno (Ita, #102) did his best result in his career so far in a two-cone event taking the 3rd place against Lorenzo Guslandi (Ita, #21). The Battle final gathered two Polish, Ewelina Czapla (#12) and Paulina Czapla (#14), and two Italian, Federica De Sensi (#23) and Chiara Lualdi (#25). 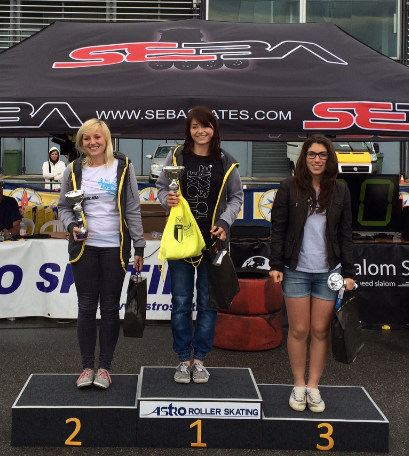 Ewelina Czapla won in front of her sister, Paulina, who took the second place. The winner of the small final in the PSWC Battle, Federica De Sensi, showed many good tricks and combos and took the third place. Chiara Lualdi performed quite well but some of her tricks were not successful. She got the 4th place of the round. The final group gathered two Italian - Lorenzo Guslandi (#10) and Andrea Rotunno (#61), French Teddy Thierry (#15) and Spanish Carlos Nelson (#14). Lorenzo Guslandi got the final victory, doing good difficult runs with high-level tricks and technical combinations (very fast internal shift, christie wheeling, seven on toe and heel almost for 15-20 cones). Carlos Nelson showed very hard unusual tricks. He did good difficult runs and finished the final right behind Lorenzo Guslandi. Unfortunately Teddy Thierry failed most of his tricks and ended up on the 3rd step of the podium. Andrea Rotunno got the 4th place of the round.